That smutty adage, of size not being as important as the way it’s used, strikes me as profoundly true in the case of wine bottles. Wineries now have a huge array of container volumes (and shapes) in which to bottle their precious output. I contend the only sizes you need be familiar with are halves, standard and magnum, of which magnums are undoubtedly king. Despite the obvious application in a pub quiz, intricate knowledge of the bottle equivalents of a piccolo, Tappit Hen or some Old Testament monarch is not of chief concern for most when planning their wine buying or drinking. The standard bottle is de facto, that on which the entire wine trade is based, meals enjoyed, and wine racks constructed. Long may its ubiquity continue. Halves are useful for a single serving of champagne or the occasional glass of sweet wine. The magnum’s supremacy, however, in all aspects of wine presentation, service and consumption is absolute. At a litre and a half, a magnum is equal to two standard bottles of wine (or just over two standard (700ml) bottles of spirit for those who extend their better judgment to the bar). It is considered in many quarters to be the ideal vessel for the maturation of fine wine, owing to the improved ratio of liquid to oxygen ingress through the (relatively) smaller aperture at the cork. It holds particular significance in Champagne, where producers such as Bollinger age all their reserve wines en magnum, ascribing to the improved ageing theory. Indeed, so important is this concept, that when the house introduced its new bottle shape in 2012, it termed the standard bottle the “small magnum” for the improved proportions between lip, neck and body. 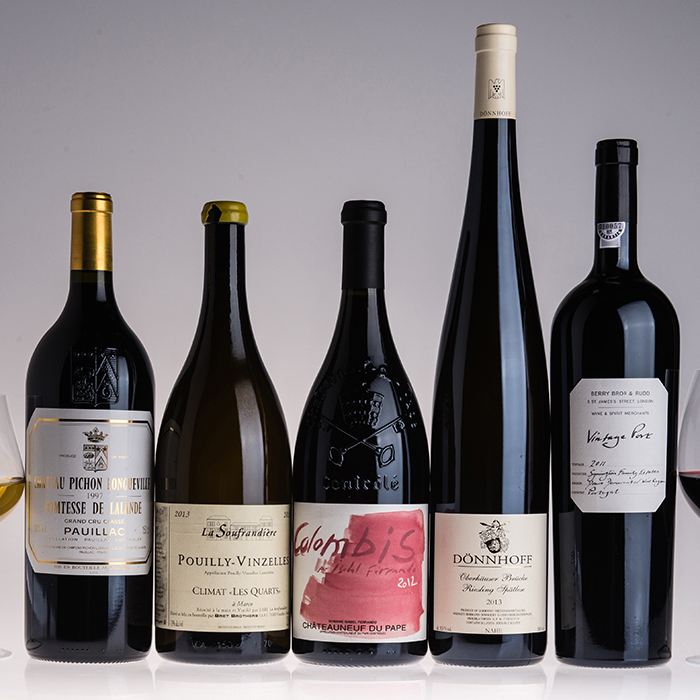 Beyond any qualitative claims of magnums’ advantage however, it is the sheer romance and theatre of the beast that truly captures the imagination. After all, anything that makes you question the sensibleness of a notion must have some intangible pleasure. I was reminded of the impracticality at a recent dinner where two single-bottle decanters had to be employed for the service of our Rioja Alta 904. Undeterred, the empty magnum stood proud at the centre of the table, as if with a knowing smirk as to its wholly unnecessary proportions. We, meanwhile, all knew that two standard bottles of the same wine would never have spawned such conviviality. And that’s just it, the magnum is so much more than the sum of its parts. Even the most modest wines are lent an air of grandeur that transforms them into inspired gifts and initiates memorable gatherings. So rejoice in the resplendence of the oversized label, having to rearrange the contents of the fridge and the envious glares of your neighbours on recycling day, for the season of magnums has arrived. And should you feel you don’t have occasion, take inspiration from that great example of fine living, Sir Winston Churchill, who quipped that “a magnum is the perfect size for two gentlemen over lunch, especially if one isn’t drinking”. Champagne Bollinger, Rosé (£115): From the masters of the magnum, an impressive and thoroughly delicious start to any oversized gathering this party season. 2011 Berry Bros. & Rudd Vintage Port (£110): What could be more improbably brilliant than a magnum of vintage Port? Guaranteed to last the ages, simply requires a Stilton of equal magnitude. Berry Bros. & Rudd XO Calvados, Calvados Lecompte (£135): A unique XO blend of our own Calvados only available in magnum to ensure a good supply all winter long (or most of it anyway). Browse our full range of magnums on bbr.com.